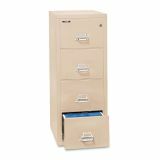 FireKing Four-Drawer Vertical File, 20 13/16w x 25d, UL 350° for Fire, Legal, Parchment - Insulated deep file cabinet offers a UL Class 350 one-hour fire and impact rating. 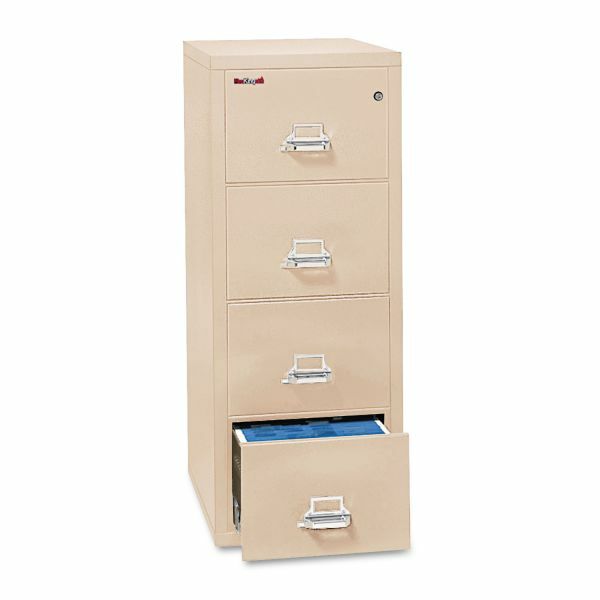 Features parchment powder-coat finish, oven-dried, asbestos-free gypsum insulation, full suspension file drawers and an inside depth of 26". Drawers hold legal-size files.